Lightweight, modular, high-efficiency structures enable warfighters, disaster responders, and medical professionals to operate in energy deprived austere environments. 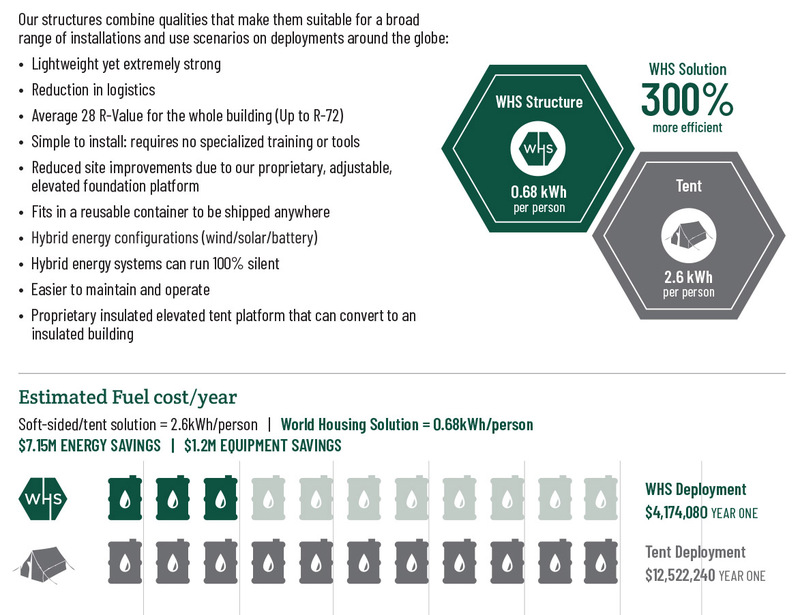 Quickly deployed and ready to assemble, the WHS Rapidly Deployable Shelter™ delivers an average R-32 of thermal insulation, vastly reducing energy dependence, stretching available energy available, and enabling the use of alternative energy sources. 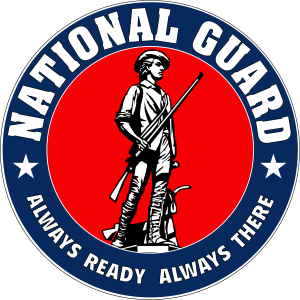 Able to be deployed on unimproved ground, the Rapidly Deployable Shelter™ provides critical shelter instantly. Towable versions of the highly insulated shelter provide high mobility instant structures with integrated power and lights, ready to go anywhere in a highway-legal package. Clinics on Wheels™ and Mobile Response Units™ are available as fully functional dental and medical clinics, C4I Command & Control, and other custom applications. 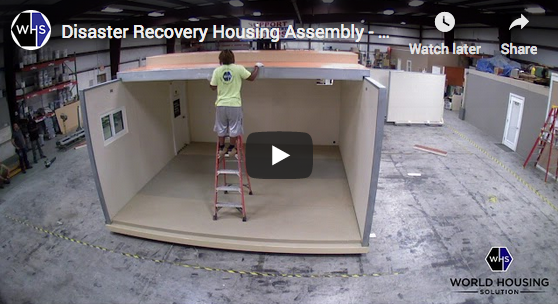 Quick deploy, energy efficient modular structures from World Housing Solution – when you need them, where you need them. Military FOBs, polar exploration, post-disaster zones, and mass humanitarian disasters all exhibit two common characteristics: a void of shelter, and deficient energy to power them. Legacy shelters, such as tents, demand an expensive and often dangerous level of fuel for energy for environmental controls. 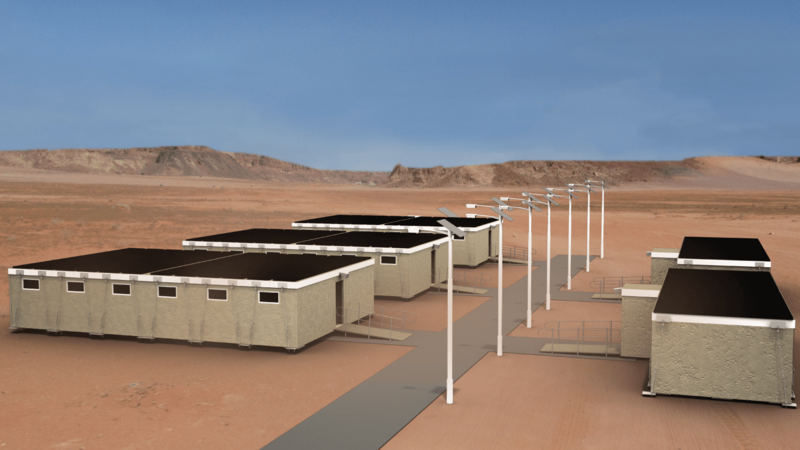 World Housing Solutions’ Rapidly Deployable Shelter™ provides a far superior solution that deploys as fast as tents, yet is 300% more fuel efficient, thus vastly reducing the logistical dilemma through drastic reduction of energy dependence. Learn more about the history of WHS, including interviews with the founder, material and specification highlights, on-site installations, and more. 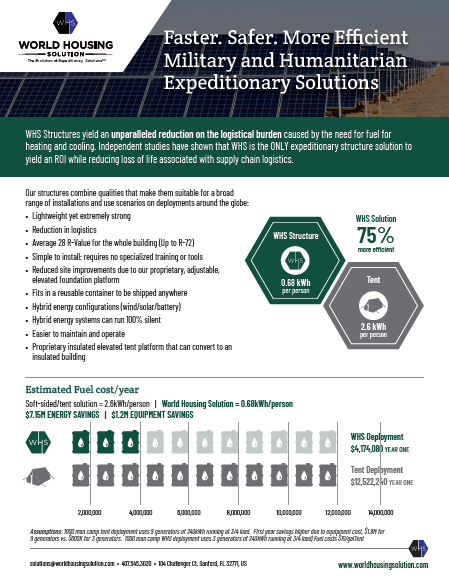 Independent studies have shown that WHS is the ONLY expeditionary structure solution to yield an ROI. 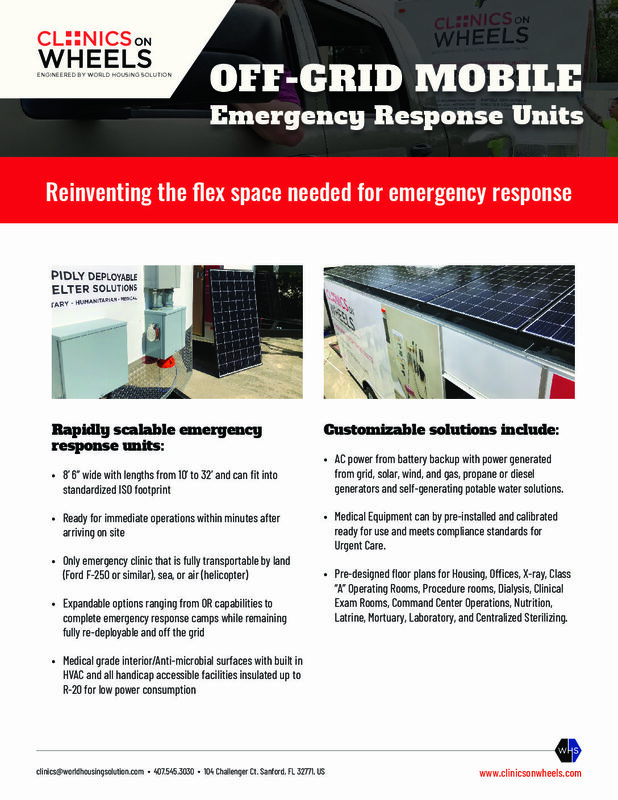 Reinventing the flex space needed for emergency response with off-grid mobile units.